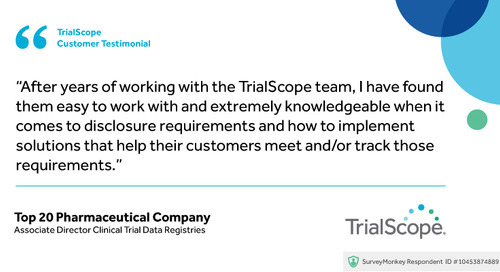 Home » Testimonials » "There would be no way to be consistent across studies... without TrialScope"
"There would be no way to be consistent across studies... without TrialScope"
"Disclosure is managed in one system now - one source of truth"
"Easy to work with and extremely knowledgeable"
"Excellent management, customer service and support." 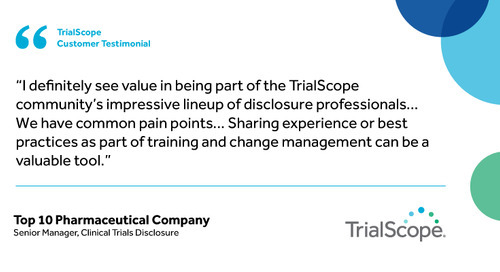 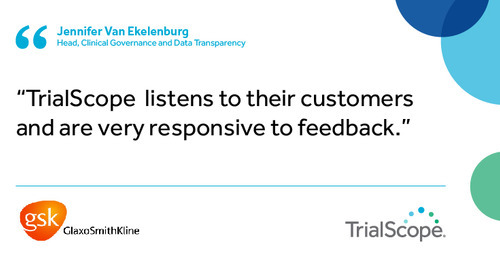 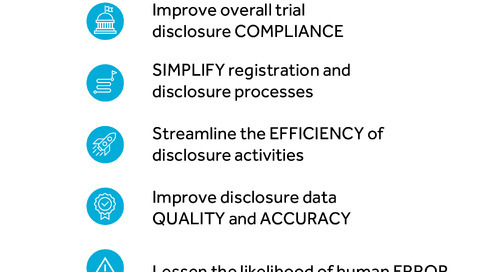 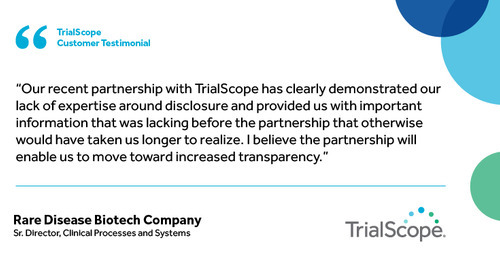 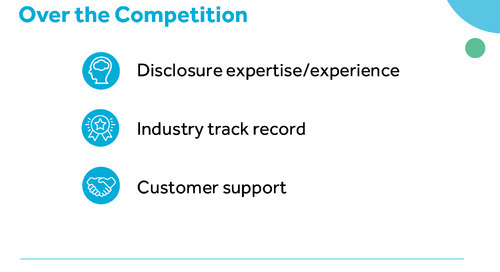 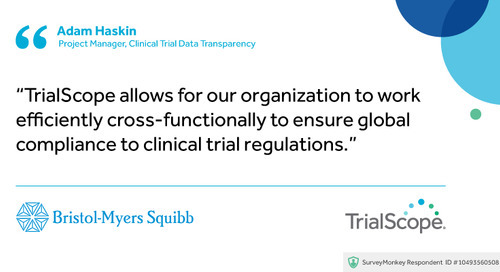 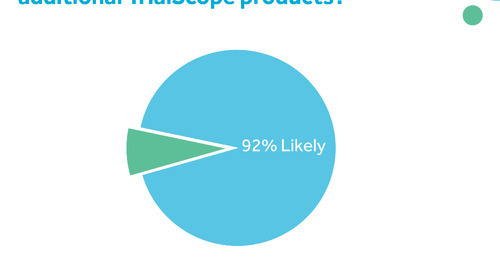 "TrialScope has been a great partner in disclosure and transparency efforts." "Really nice to be listened to in the development process." 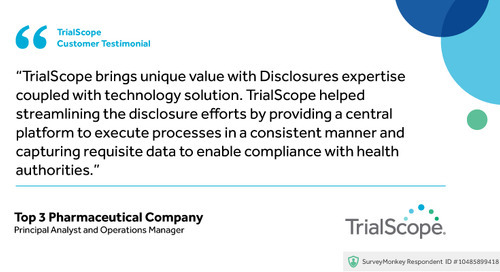 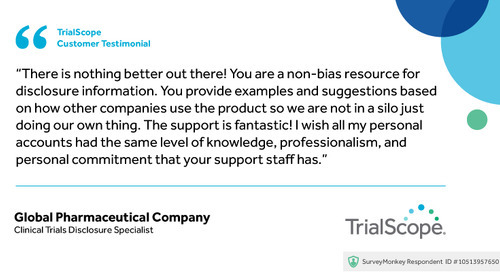 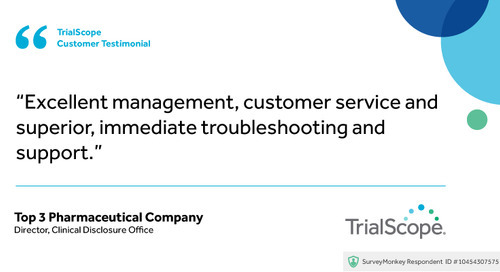 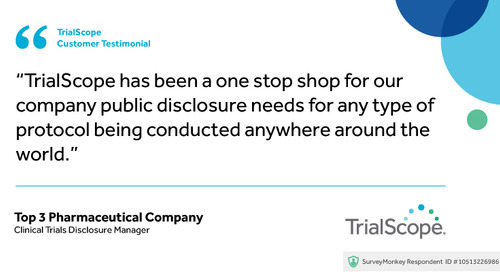 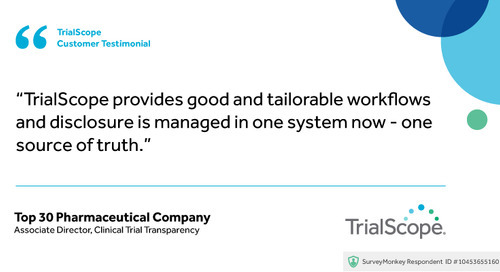 "TrialScope helped streamlining the disclosure efforts..."
"Allows for our organization to work efficiently cross-functionally"
"A one stop shop for our company public disclosure needs"
"There is nothing better out there!" 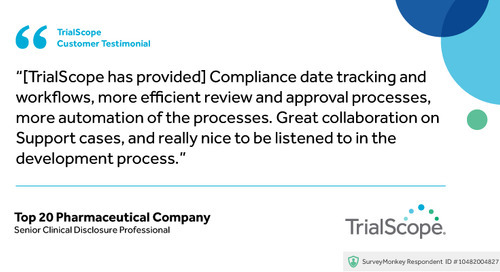 "Great account management and expertise regarding regulations"
"I definitely see value in being part of the TrialScope community"
"I feel valued as a customer"
"Really go the extra mile to help keep us updated and compliant"
"Listens to their customers and are very responsive to feedback"
"The partnership will enable us to move toward increased transparency"
"Makes a difficult, cumbersome submission process streamlined"